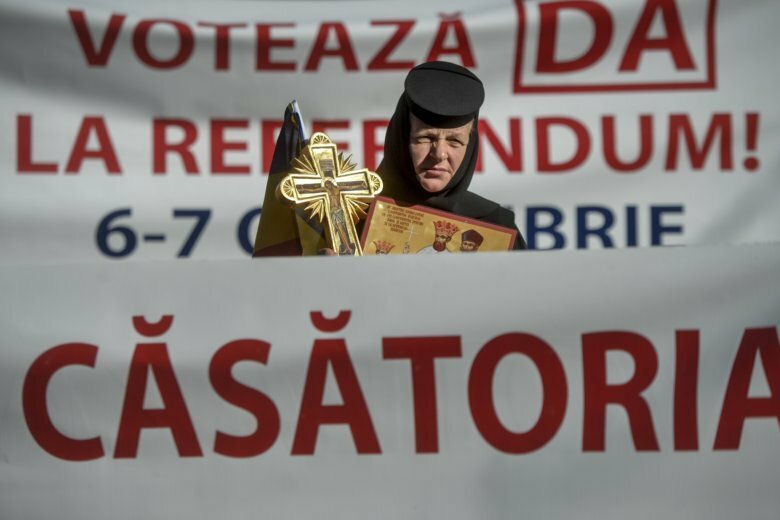 DRAGANESTI-OLT, Romania (AP) — Orthodox priests have joined Romanians in a rally voicing support for a referendum that seeks to limit Romania’s constitutional definition of marriage. A handful of the priests spoke about the meaning of a “traditional” family to some 100 believers Thursday, urging citizens to vote in the Oct. 6-7 referendum. It needs a 30 percent turnout to be valid. The vote comes after 3 million Romanians signed a petition demanding that the constitution be changed to explicitly state that marriage is between a man and a woman. It now states marriage is between spouses.